When you've tried everything to get pregnant - from eating the right foods to spending thousands on medical treatments - and nothing's worked, it's hard to stay positive. But this book holds the key to success. 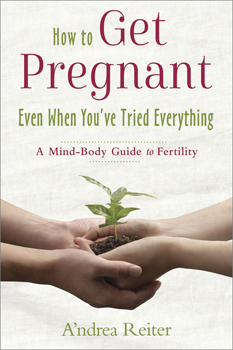 The mind-body connection, a vastly under-acknowledged and under-studied area in fertility, has helped many women become pregnant. It can help you, too. Holistic fertility coach A'ndrea Reiter helps you explore the four areas that may be blocking your pregnancy efforts and offers concrete ways to navigate them to create the baby, and the life, you deserve. Her mind-body approach focuses on natural alternatives to invasive and expensive fertility procedures. By changing your thought process, you can change your physical condition and remove the obstacles you thought you couldn't overcome.